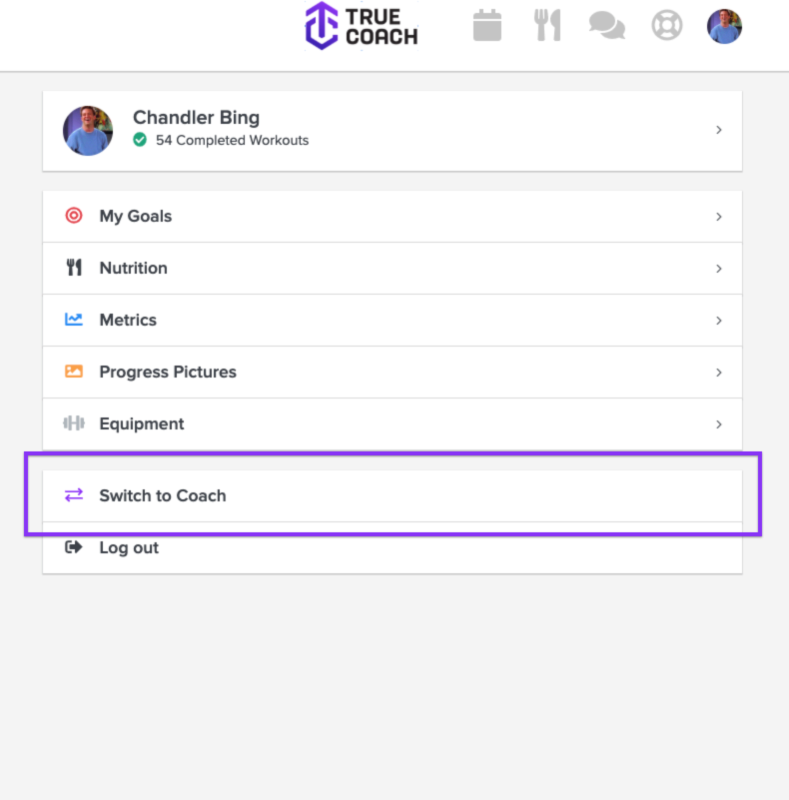 If you have a coach and client account on the same email address, you can toggle back and forth between account types on the web-app. The iOS app is only for clients. You cannot access your coach account from the iOS app. If your coach and client accounts are on different emails and would like them merged, send a message to [email protected] with the two email addresses, and we will get that done for you! Wherever you are in the app, hover your mouse over the profile icon on the top right of your screen, and you'll see the option to Switch to Client. Head to your profile by clicking that same icon on the top right. Once there, the option to Switch to Trainer Account is displayed in the horizontal bar underneath your age, height, and weight.